shocked about the watsups and allegations of these Banda homes people being a con and pyramid.Ladies and gentlemen how do we protect ourselves from these types...the way these guys have airtime mpaka TV;distributing pamplets in cars.woi. I cannot paste the watsups going round(technorogi imenishinda) but it was posted in another thread. Again thanks to platforms like buyer beware and nyakundi who distribute info to all and common mwananchi. @Mbarire. Remember there was the Mrs.Kihanya mathe who a few weeks ago claimed on KTN or Citizen that the land Banda's building on Kenyatta Road was not owned by Banda? That was pretty scary. I always wonder why guys give these fly-by-night companies $$deposits for so-called off plan houses. If a guy only has a million or two, why not go buy your own plot and jenga your own hao? Albeit slowly - but at least you'll sleep better at night knowing you're not being conned by these tu-companies. Same goes for pple investing $$ in Cytonn for 18% return. That Edwin Dande guy had fraud issues in the past when he worked for Britam. Google it. Personally I stay away from all those private tu-companies and invest on my own. God. Real Estate. Fast Cars. Hot Chicks. Philanthropy. If a guy only has a million or two shillings, why not go buy your own plot and jenga your own hao? Albeit slowly - but at least you'll sleep better at night knowing you're not being conned by these tu-companies. It's true what you say.these off plan can really burn fingers and cause so.much grief.if this Banda homes are fake PROPERTY SHOW should also come out and apologize for airing /advertising this estate. I will try to keep this as brief as possible while giving as much info as I can on this company 'Banda homes', and why I believe it will dwarf Suraya Property and Ekeza sacco fraud in a couple of months or so. Our major failure as Kenyans is that we labor hard to make money but are too lazy to conduct due diligence before laying down our hard earned money in investments. Any company advertising on our TV, radio stations, Internet and billboards is deemed legit enough to put our coins into. 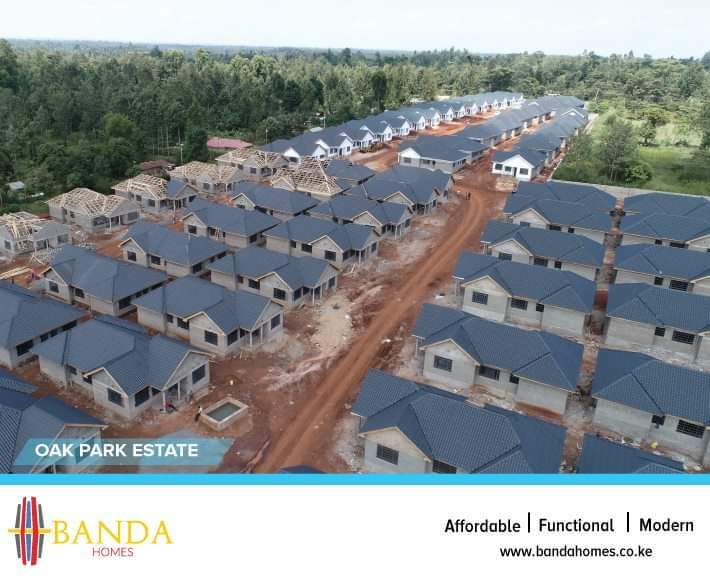 Banda homes is an offplan developer meaning they sell off houses at design stage and builds them as monthly instalment are paid along the duration of construction. It started out as Dinara developers around 2011, then Lettas developers around 2013, then Banda homes in 2018. The directors mastered the art of rebranding each time after soiling their reputation of not delivering on their projects through mismanagement of funds. 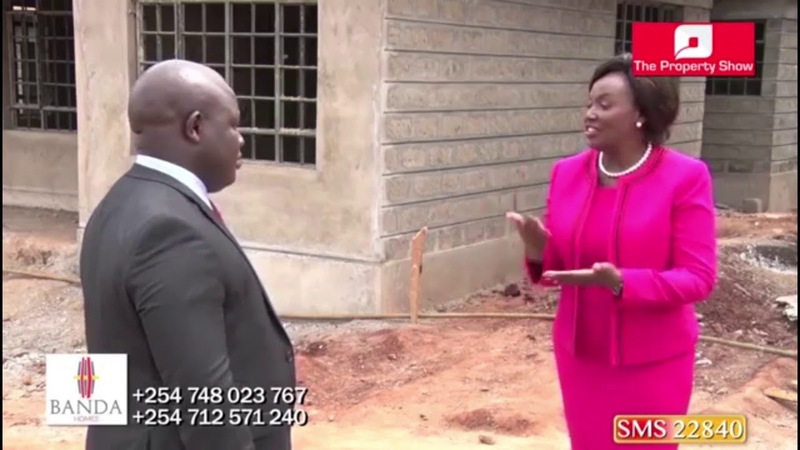 As we speak now there are projects started as far back as 2011 that are still ongoing, and still today you have customers buying into Banda homes as they are unaware of this fraudulent past. At the center of this circus is a man Andrew Kamau Muhiu the mastermind of all this. A 35 yr old fellow living a good life with a dozen homes high end vehicles and several women in line. (Brother to the late lawyer Paul Magu Muhiu, who committed cult killings of his wife and 3 children, before committing suicide back in 2015). He hides behind curtains and has put up his former employees as directors so that them that check on Banda homes don't stumble on his fraudulent name. Mr Kamau has court cases to his neck from his previous unfinished projects from mismanagement in Dinara and Lettas developers. Some projects are in Thindigua and a handful in Thika. His solution was to raise funds externally to plug the deficit as the cases were not going away and have been on for years. In January 2018 he launched two housing estates in Kimunyu, Kenyatta Rd. Through vigorous marketing sold out about 100units securing a deposit of 150M (houses cost 4M, deposit of 1.5M bal in 10months). Part of this money went to clear deficits of his previous failed projects. He further launched more estates between January and April 2018 with most being along Kenyatta Rd. Off Thika Rd and some in Kikuyu near Sigona totalling about 900 units and collecting deposits of about Sh.1.5Billion. This amount was used to partly pay for the land of the estates and about Sh.200M diverted to finish up the old projects. Going forward he had a deficit of about Sh.300M diverted to old projects. Also a lion share of these deposits was used to purchase the pieces of land. Mr Kamau convinced one of the heirs of the Kenyatta family to sell him a 20 acre piece for 7million per acre. He had 145 housing units designed on this piece of land and sold them out in a month getting about Sh.218M in deposits, he used this to pay part of the land cost and to cover back the Sh.300M diverted from Banda homes. When Former First lady Mama Ngina heard about the price their family land was sold at she rejected the sale and returned the deposit to Banda homes (should have been 15M per acre). That's when this story was aired in the media in September last year. Most buyers came for their refunds but we're told to wait, as there was no money anyway. This is when the rain started beating them. Banda homes went on to launch two more estates with about 300units, seeking to solve their issues with customer deposits. In all these estates customers were expected to continue with monthly instalments of about 300,000 each, to support ongoing construction. But on noticing very slow progress despite the consistent payments, most started holding on further payments until they see satisfactory progress on their housing units. Them that have bought into the estates are trapped as there is a clause in the contract that says you forfeit 40% of your initial deposit if you choose to pull out of the contract. Problem is more and more Kenyans are still buying into this estates not knowing what awaits them. They are roped in by cheap prices and a vigorous marketing machine 'The Property Show' included. When Kenyans finally realize the truth and Banda homes cannot get any more deposits, the chicken will come home to roost. Before us will be a developer who has duped us to invest in over 1500 units, mismanaged over Sh.3Billion of Kenyans money and counting not delivered on any of them (to put this in perspective, some of these estates have only done bush clearing despite having been sold out). Like pyramid schemes the lifeline of Banda homes has been deposits from new buyers, being the reason the company has launched estates totalling 1500units in just a year, who can beat this record. Until then give knowledge to them that are too lazy to do due diligence. He says he's making 20 million a month "honestly" ...so why change the name of your company 3 times? Everyone has a weakness that conmen can exploit. Real estate happens to be the weakness of most Kenyans. But they have real houses on the ground. Shida iko wapi? My query is "When someone publicly says he or she makes 20M to 25M in a month, does KRA follow such individuals in ensuring they remit 30% Ushuru of the said amount. I think the competitors are just being jealous. We should ignore the whatsapp chatterboxes, rumour mongers and doomsayers. What the company needs is support, not sabotage. A company is delivering affordable housing and all you want to see is KRA going for their necks? Who said they do not pay taxes. Also ask team kutangatanga what they do with your taxes every weekend. The shida seems to be that they are using the "wrong" funds..i,e funds meant for project D are being used for projects B and C or something of that nature? [quote=hardwood]But they have real houses on the ground. Shida iko wapi? The shida seems tom be that they are using the "wrong" funds..i,e funds meant for project D are being used for projects B and C or something of that nature? Nothing wrong with that when one is undertaking several projects. Note that the buyers pay in installments and therefore there is no need for the company to borrow expensive funds from banks for specific projects when they can use the deposits and installments they receive from buyers. The funds go into a common pool and can be utilized in various projects as need arises but ultimately every buyer will get their house. If indeed an individual is making the 20meters or 25meters and he pays his taxes duly such a person ought to be among the top individual taxpayers. Of course i would expect tangatanga patron to lead in such a award but hes never seen. Let the tangatanga team continue using your taxes as they wish. You entrusted them with it. Don't Complain!!! Being cautious is the best investment. I have lost twice in pyramid and I wouldn't. Trust in God and endure patiently.